The World Health Organisation recommends that you should consume no more than 6 teaspoons of sugar per day. But as you’ll see, you could be consuming more than your daily sugar intake before 8am. 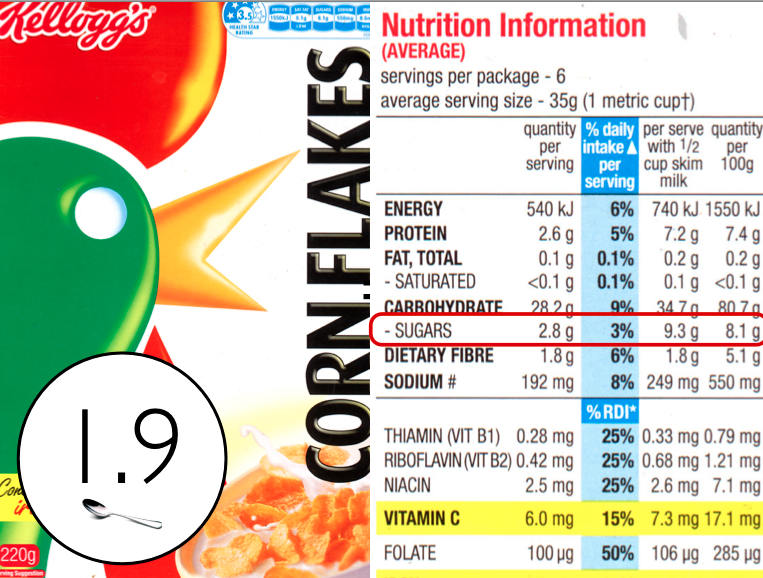 So there you have it, 10 random breakfast cereals pulled from an Australian supermarket shelf. 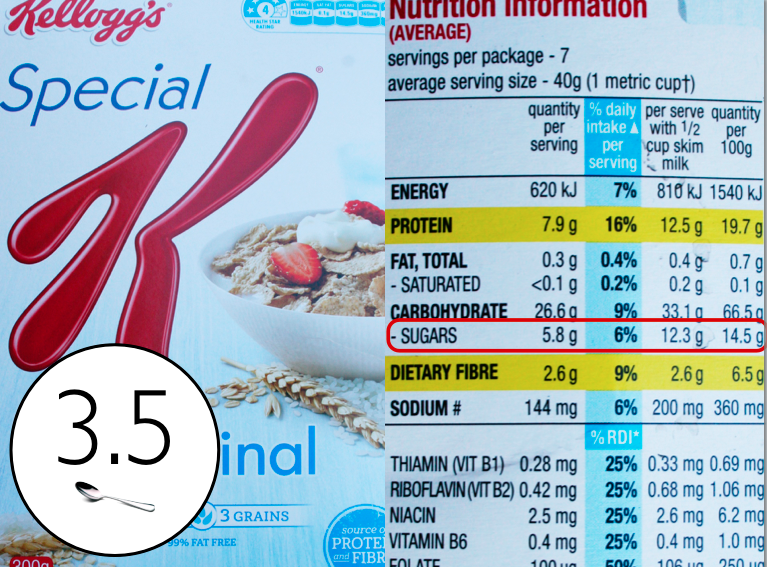 For a more comprehensive list of breakfast cereals and their sugar content, check out David Gillespies ‘A teaspoon guide to Australian breakfast cereals’. Why does sugar content matter? Breakfast is the meal that sets the tone and mood for the rest of your day. 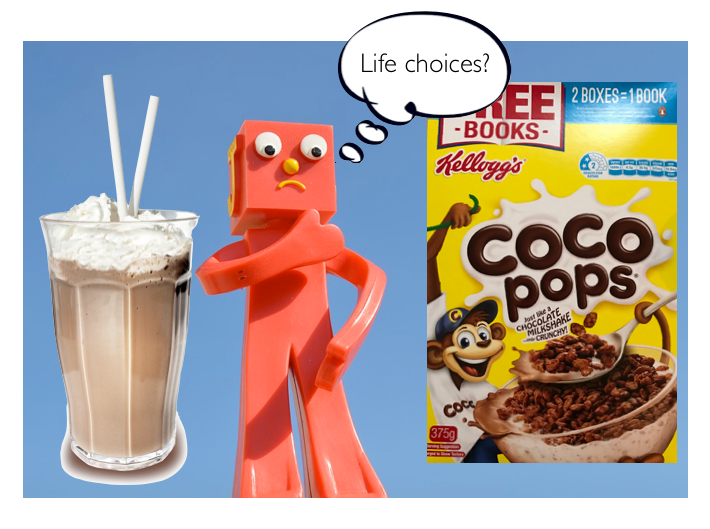 If you eat a highly sugary, nutritionally poor cereal then you’re off to a rocky start. 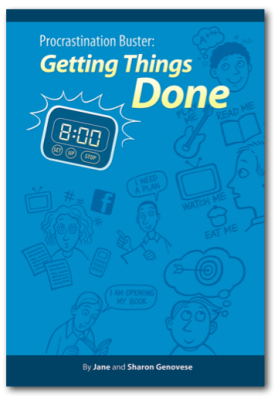 The tone and mood may start off as “I’m ready for anything!” as you ride the initial sugar high but it will quickly descend into “Ugh…I can’t be bothered” as fatigue and brain fog sets in. 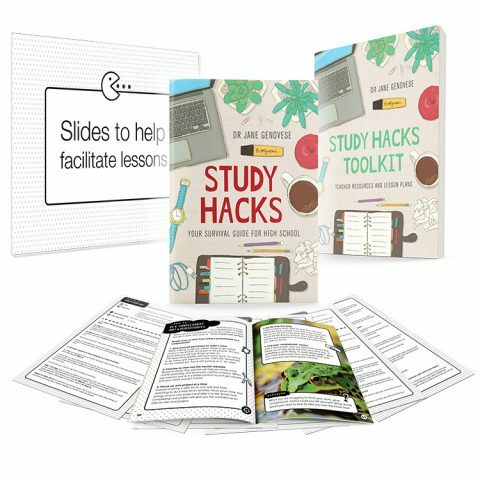 “When we eat sugary foods, our blood sugar levels spike and our pancreas releases insulin to remove the sugar from the blood into the cells or, in the case of fructose, it goes straight into the liver where it is stored as glycogen or, when glycogen stores are full, as fat. A diet high in refined sugar and processed foods can cause mood swings, low energy levels and inflammation in our bodies as well as low immunity and poor digestion. All of these issues can have a negative impact on mental health. In short, consume too much sugar for breakfast and it will cost you mentally and physically. There’s no two ways about it. It’s designed to hook you in and make you pick the box off the shelf and pop it into your shopping trolley. Here’s my advice: Bypass the front of the cereal box and go straight to the ingredients label on the side of the box. Your chief concern is sugar (as well as any ingredients your grandmother wouldn’t be able to recognise). 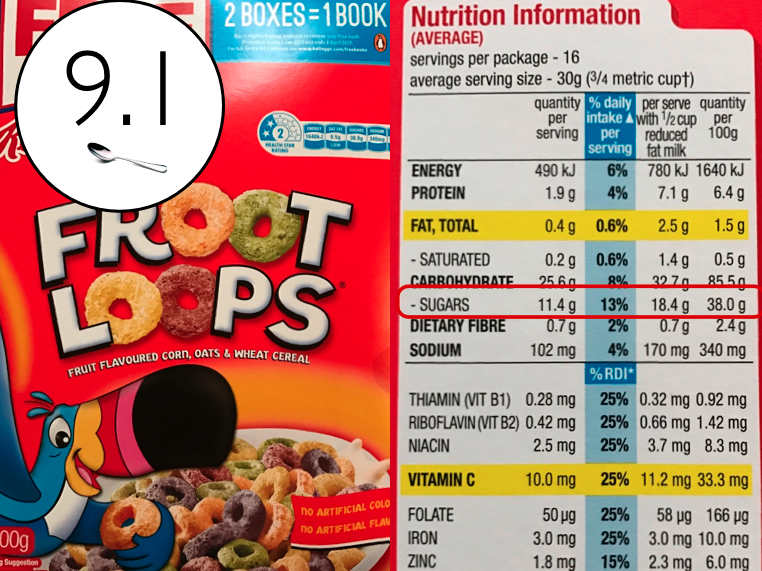 If you want to know the exact quantity of sugar is in your bowl of puffs, flakes, loops or wheat biscuits, you can work it out. Look at the ingredients label on the cereal box. 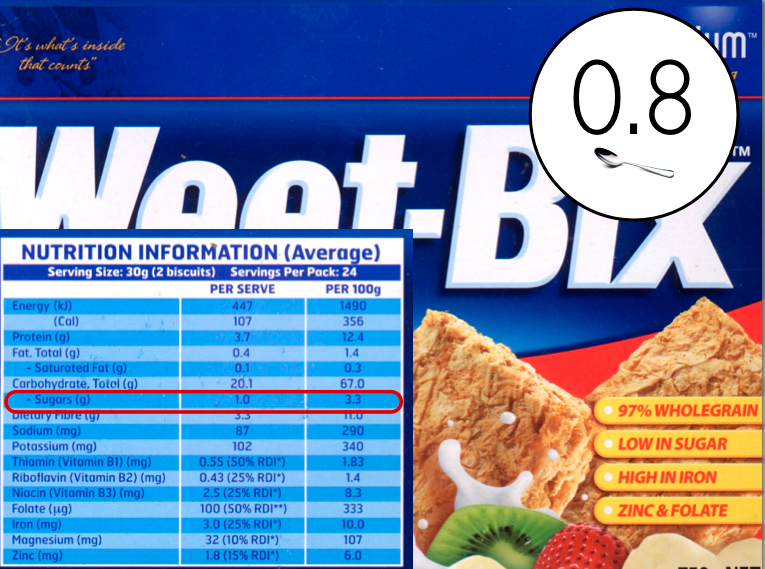 Where it says quantity per 100 graMs, look to see how much sugar is in it. 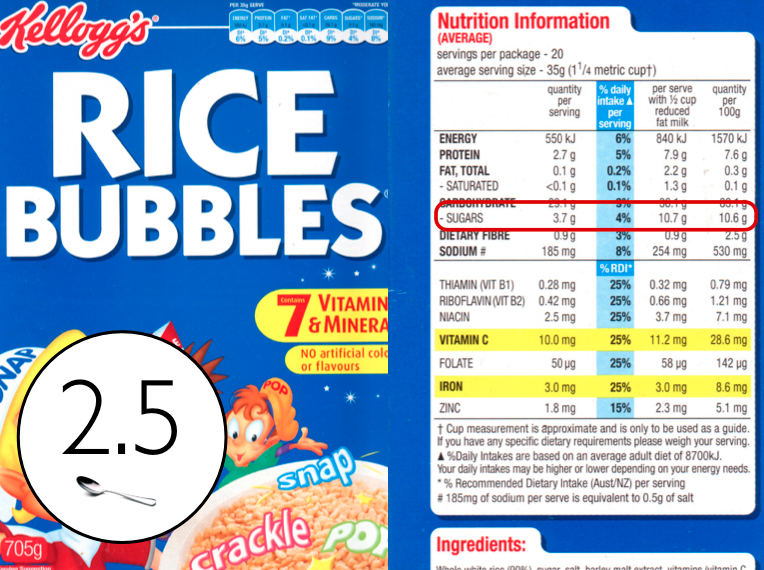 If it says 25 grams of sugar, this means the food contains 25% sugar. 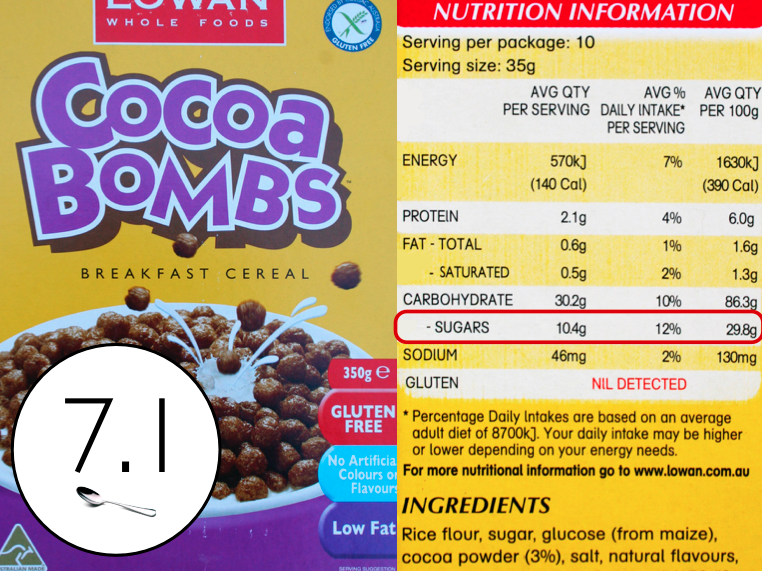 Alternatively, 1 teaspoon of sugar is 4.17 grams of sugar. Divide 25 grams by 4.17. That gives you 6 teaspoons of sugar. Remember, that’s just for every 100 grams consumed. If you’re feeling super hungry and pour 200 grams of cereal into your bowl, you need to multiply it by 2: you’ll be eating 12 teaspoons of sugar in one sitting (that’s double your maximum daily intake). What’s the deal with health star ratings? 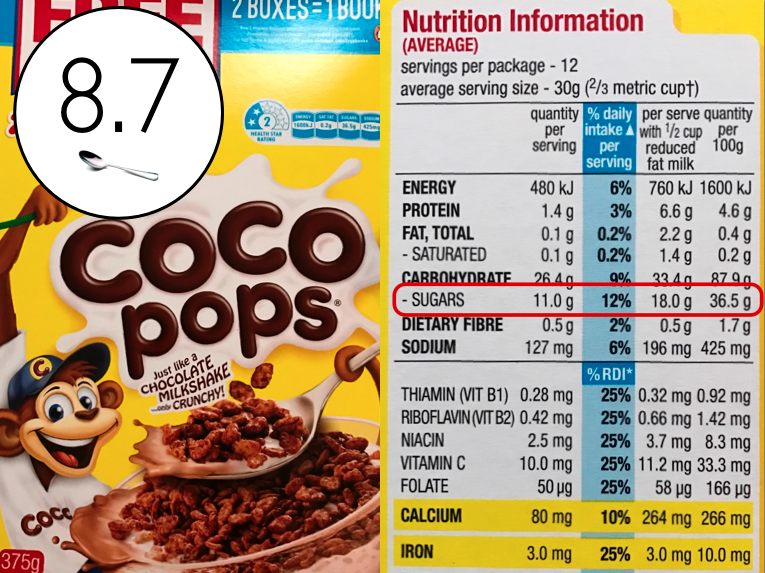 How does Cocopops get a health star rating of 2 out of 5 when it’s 36% sugar? 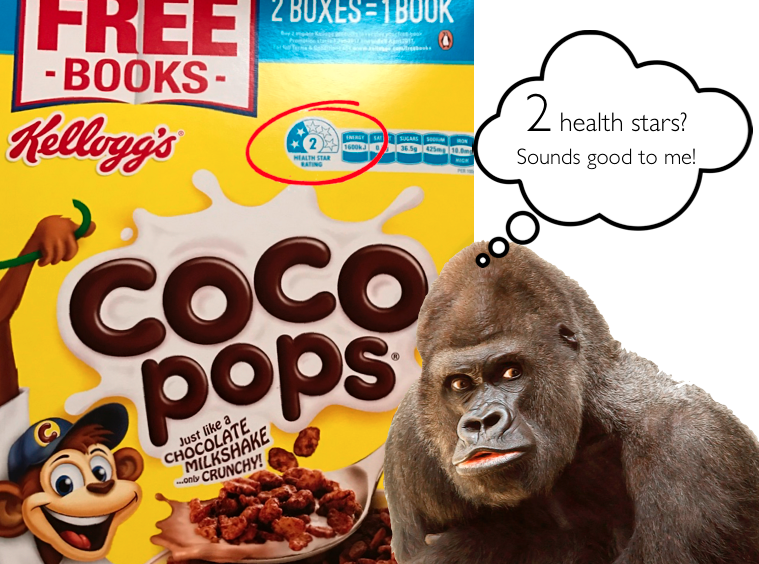 Should we pay any attention to health star ratings on cereal boxes? According to public Health experts, the Health Star system is deeply flawed (you can read more about the problems here). 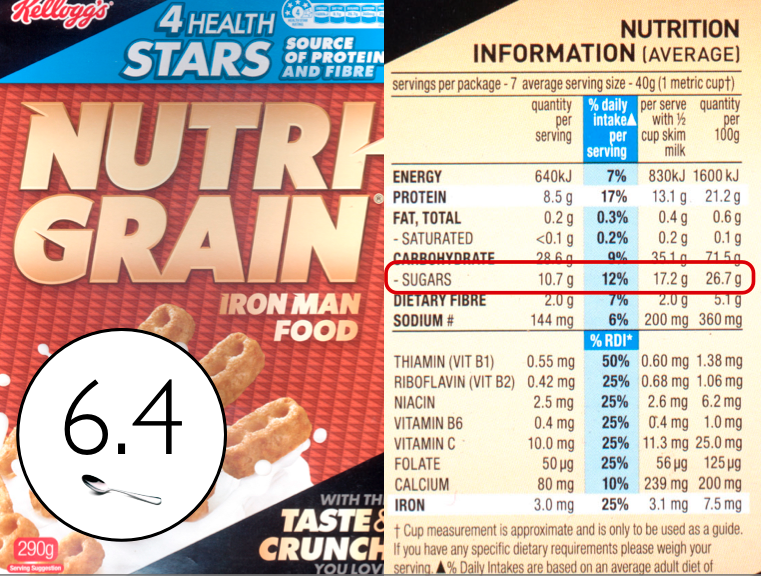 One of the major problems with the Health Star Ratings is they do not take added sugar into account. So until the system is fixed, it’s best that you ignore these ratings. If you’ve been consuming a highly sugary cereal, why not consider cutting back and trying a less sugary cereal for breakfast? After his palate re-adjusted, Damon describes drinking vanilla flavoured coke as being “akin to licking a chlorinated filter at a tiny tots’ swimming centre: sensorially overwhelming and tasting suspiciously like piss”. In other words, you’ll start to notice the subtle flavours of natural foods again. But not only that, your body and mind will feel clearer and sharper too. 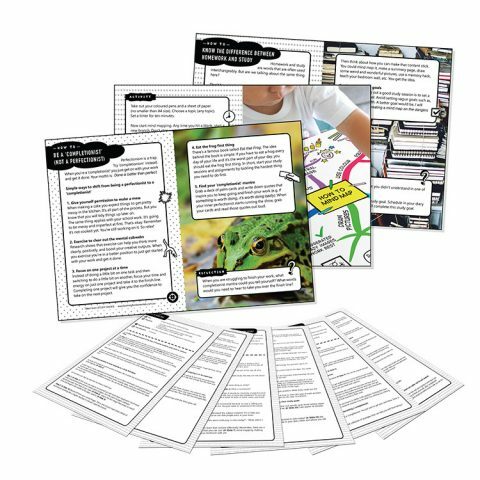 Next time you’re at the supermarket, check out the ingredients label on the cereal boxes. Take out your phone and crunch the numbers to work out the number of teaspoons of sugar you’d be consuming. Even better, avoid the cereal aisle altogether and make your own muesli. The bottom line is: You’re brain is incredible. But every time you spoon sugar into your mouth, it takes a little bit of the shine off. 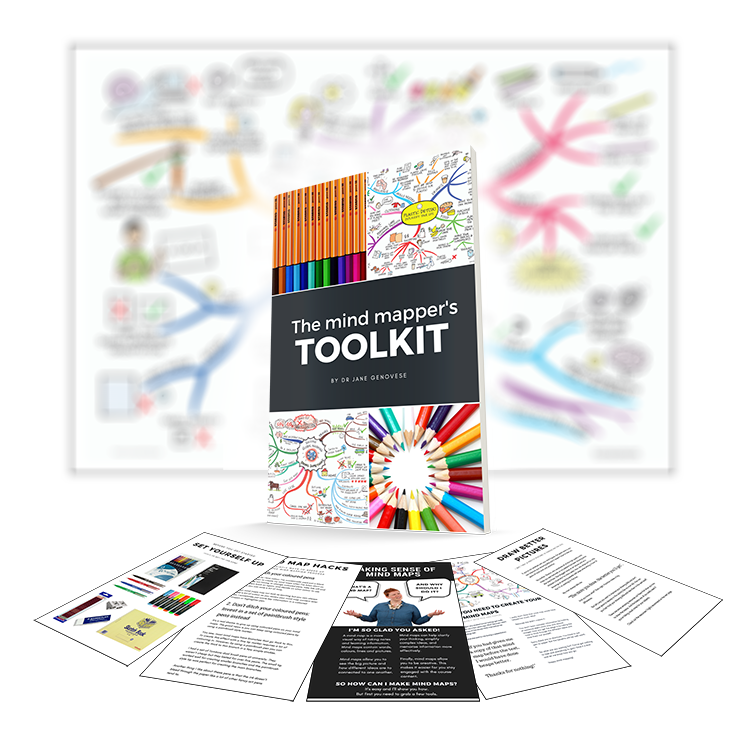 You need your brain to work well for you: to think creatively, to crunch numbers, and to solve problems/challenges life throws at you. 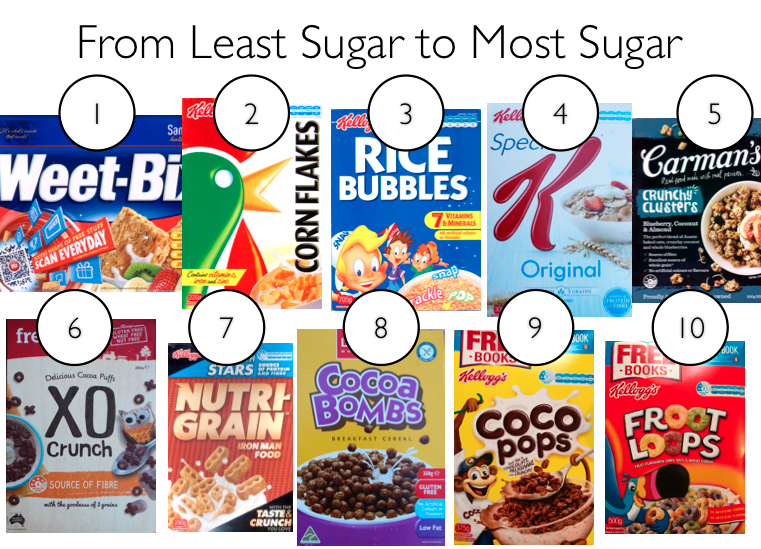 For best results, sugar should not be the main ingredient you consume for breakfast. What do you typically eat for breakfast? 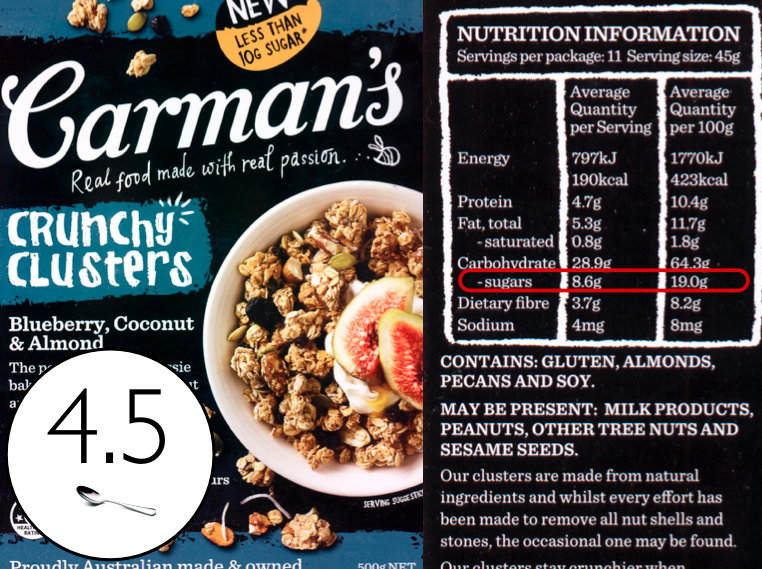 Can you work out how much sugar is in your breakfast? Is it more or less than you thought? Let me know by posting a comment below! 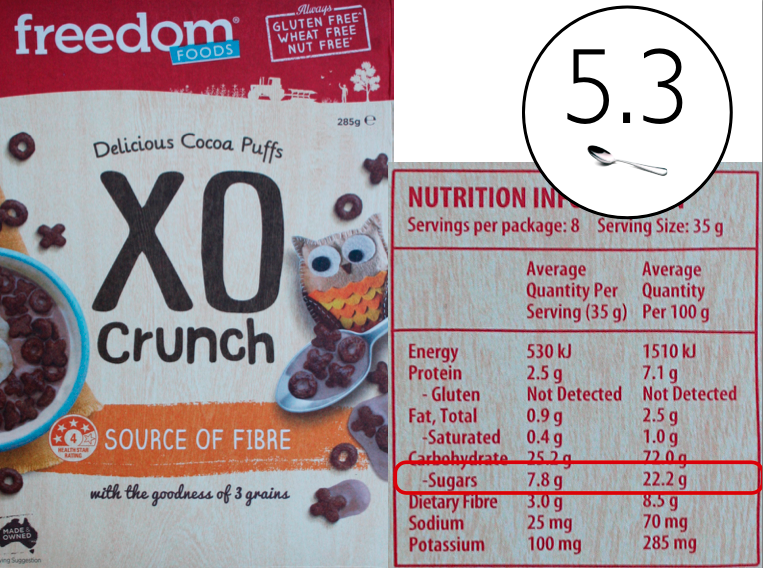 Our family has been sugar-free for about five years… yay! Our breakfast cereals are overnight oats or cooked buckwheat groats topped with nut or seed butters, pumpkin puree, or coconut milk. 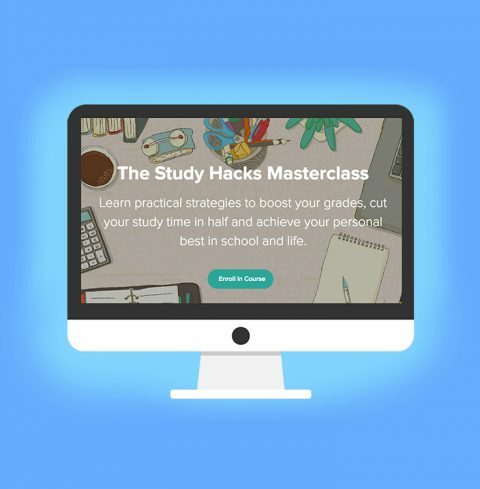 Our son gives lots of credit to his sugar-free lifestyle for his ability to focus and think clearly in school. Wow! It takes tremendous willpower to be sugar-free for 5 years. And how good is it that your son notices the difference this makes to his cognition. I’m a fan of overnight oats too but I’ve never tried cooked buckwheat groats. Do you have a recipe for that Kim? Hi Jane. I make a big batch of buckwheat at once. I soak 3 or so cups of groats overnight in lots of water, drain and rinse them in the morning, then put them in a pot and just barely cover them with water. Bring to a boil, then turn off the heat and put the lid on the pot. They cook in their own heat that way in about 10 minutes – no babysitting required! They do tend to foam up when they come to a boil, but that is easy to skim off. I don’t think it is necessary to soak the groats overnight. I just do it because a) I am a lazy cook and b) I have heard that doing so makes it more digestible. I actually cook all my grains this way.